Asthma’s been around for millennia, with some treatments we’d consider strange and/or dangerous by today’s medical standards. Physicians through the ages have debated on the causes and mechanisms of asthma; for instance, whether it was a physical disease or mental illness. Let’s take a quick trip through history to see how asthma’s been diagnosed and treated over the centuries. Scientists are not sure if asthma existed in prehistoric times. There’s no written record to let us know what prehistoric people thought of asthma or how it was treated. We can only guess, but may be able to look at the way indigenous people have treated illness throughout history. For instance, Native Americans combined religion, herbal medicine, spirituality and rituals to treat people who were physically and/or mentally ill. Today we know that many herbal combinations can have a healing, soothing effect on the human body. There’s a good probability our prehistoric ancestors had a similar knowledge of herbal medicine, combined with religious rituals to provide healing and wholeness. The first mention of asthma in ancient times is found in the Georg Ebers Papyrus. This document was bought by Georg Ebers (1837-1898), an Egyptologist and novelist, at Luxor in 1873. Written in 1550 BC, the papyrus is the oldest medical document in the world. It contains prescriptions for over 700 remedies for many illnesses, including asthma. 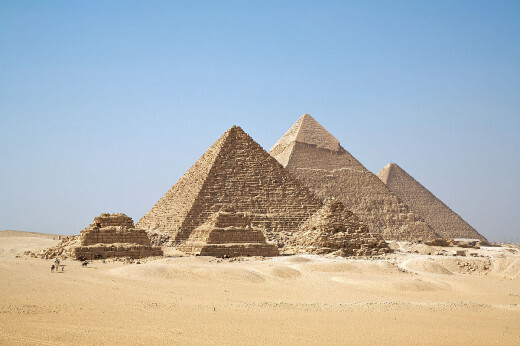 Egyptian physicians were called when someone fell ill. Treatments for various medical problems might involve magic, draughts, blisters, poultices, powders, plasters, bleeding, incantations and amulets. Additional therapies might include suppositories, fumigations, inhalations, purgatives and diuretics. The patient might also be a candidate for surgery. Medications included animal tissue (worms, snakes, insects and more), plants, minerals and human excrement. Physicians might also prescribe hygiene and a healthy diet for their patients. One of the ancient Egyptian remedies for asthma was to put a mixture of herbs on heated bricks. The patient would then inhale the fumes. You could say this was the first inhaled asthma treatment on record. The Nei Ching, written by Huang Ti about 2697 BC, was long the oldest medical book (before the discovery of the Eber Papyrus). 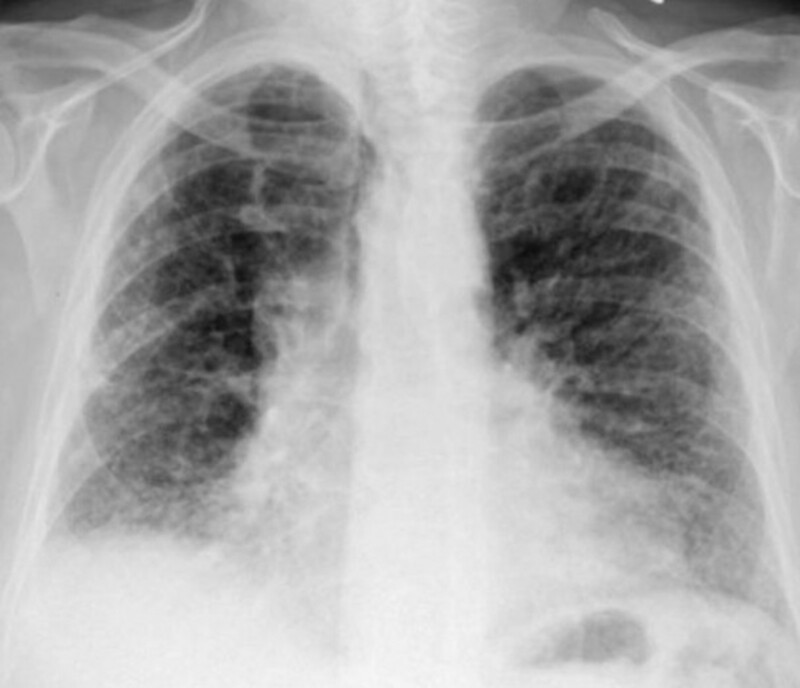 This document includes descriptions of asthma-type symptoms along with possible treatments. The Nei Ching puts emphasis on the balance of Yin, Yang and Tao to maintain health. At this time in history, Chinese physicians believed that too much yang and/or too little yin were the cause of physical illness. Tao, or balance, was maintained by temperance in eating and drinking, and by keeping a regular schedule for bedtime and getting up in the morning. Physicians believed that an imbalance of Yin and Yang caused asthma symptoms, as the lungs were considered to be used for metabolism and flow of bodily fluids. An imbalance in the lungs would cause too much phlegm, sweat, swelling, etc. Chinese physicians treated asthma with a medicine call Ma Huang. Ma Huang is a Chinese shrub, the Ephedra sinica, from which ephedra can be produced. 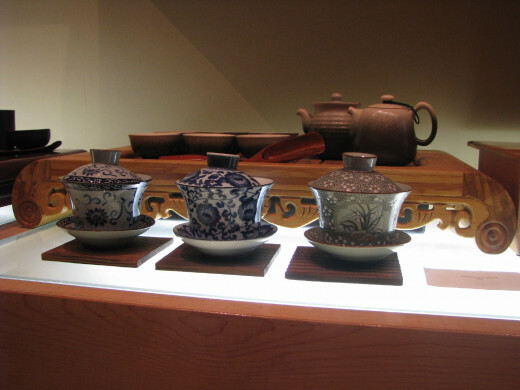 A Chinese physician would brew the dried leaves and/or stems of Ma Huang into a bitter tea, which the asthma patient would drink. There is evidence that this tea was beneficial and helped to relieve asthma symptoms. The ephedra found in the plant acts as a bronchodilator. Hippocrates (460-370 BC) was a Greek physician, who is considered to be the father of modern medicine. He is the first person to use the term “asthma” as a medical term. “Asthma” is derived from the Greek word “aazein” (άσθμα), which means to exhale with open mouth or to pant. It is not clear if Hippocrates used this term as a reference to asthma as a specific illness or as a symptom of illness. He also seems to be the first to have recognized a link between asthma and occupations. He said asthma seemed most linked to fishermen, tailors and metalworkers. Hippocrates prescribed simple cures in the beginning of an asthma exacerbation. These included bathing, breathing purified air, plenty of rest, eating a healthy diet and getting some exercise. If these didn’t work, he prescribed massage, wine (as a sedative), draught of hellaboare (as a purgative), bleeding and inhaling herbs. Hippocrates also believed it was necessary for asthmatics to avoid whatever set off their asthma. 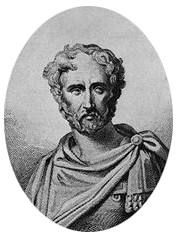 Pliny the Elder (AD 23-August 25, AD 79--also known as Pliny the Naturalist) was a Roman admiral and an encyclopedist. He had asthma and was Pliny the Younger's uncle. He wrote a book called “Natural History;” where Pliny mentions asthma-type symptoms. 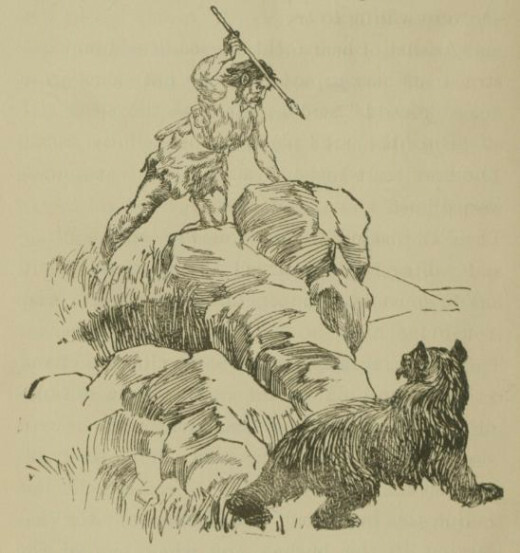 His asthma prescriptions included blood of wild horses (as a drink), liver or lights of a fox in red wine, and bear’s gall in water. In addition, Pliny also recommended these remedies: oil of balsamum, rue combined with bitumen, pitched wines, chrysochola combined with honey for sore throats and asthma, snails (good for cough and stomach ache, asthma) and vinegar. Pliny died on August 25, AD 79, the day Mount Vesuvius erupted, completely destroying Pompeii and Herculaneum. He was trying to rescue a friend and his family by ship; unfortunately the winds kept his ship on shore. While on board, Pliny collapsed and died of a probable asthma attack. His death is attributed to the toxic fumes from the Mount Vesuvius’ eruption. Galen (AD 129-c. 200/c. 216, about 500 years after Hippocrates) was a Greek physician, surgeon and philosopher. He is often given credit for being the first to link asthma to the air passages in the lungs. Galen is also considered the first to describe asthma as an obstruction of air passages. He made several mentions of “asthma” which mostly agreed with the texts of Hippocrates texts and Areteaus of Cappadocia. Galen described asthma as bronchial obstructions and prescribed owl’s blood in wine to treat it. His remedies for asthma consisted of a bath, healthy diet and exercise. If these didn’t alleviate the patient’s asthma, Galen then prescribed Squill (to relieve coughs), pepper, wormwood (to aid digestion), Opopanax (an antispasmodic and decongestant), Storax (expectorant), Oxymel (expectorant), Sulfur (to ease allergy symptoms) and millepedes (diuretic). 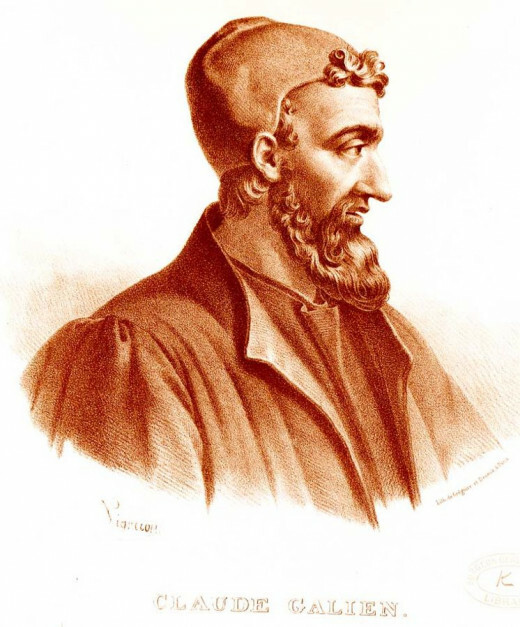 Galen’s medical theories were to influence the world for the next 1,800 years or so. In that time, there were no major advancements made in treating asthma. Moses Maimaonides (1135-1204 AD) was a rabbi philosopher who lived in Andalucia, Morocco and Egypt. He was also a physician who practiced medicine in the court of Sultan Saladin of Egypt and Syria. He was one of the most famous writers at that time. Maimaonides became interested in the medical writings of the Greeks and Romans, especially the writings of Hippocrates and Galen. He wrote a Treatise of Asthma for Prince Al-Afdal, who was his patient. Maimonides discovered that his patient’s asthma worsened during the cold wet months and noted that Prince Al-Afdal’s asthma made him gasp for air and cough up phlegm. Maimonides noticed that Egypt’s drier months seemed to ease asthma symptoms; he also noted that air pollution could be a cause of asthma. In addition, he prescribed avoidance of strong medication, plenty of sleep, fluids and chicken soup. The next major advances in the understanding of asthma were made by Jean Baptiste Van Helmont (1580-1644), a Belgian physician, chemist and physiologist. He was himself an asthma sufferer. He believed asthma was a physical disease caused by substances in the air with which one came into contact. Helmont referred to asthma as “epilepsy” of the lungs. Van Helmont seems to have recognized that inhaling dust and fish could cause asthma symptoms in some people. The next steps forward for asthma were done with Bernardino Ramazzini (1633-1714 AD). He’s known as the father of sports medicine. It was Ramazzini who discovered a link between asthma and dust. He also recognized exercise induced asthma. Ramazzini found that people involved in the following occupations had higher risks of developing asthma: miners, gilders, tinsmiths, glass workers, tanners, bakers, millers, stone cutters, carders, ragmen, runners, horseback riders, porters, farmers, professors, athletes, alchemists, potters, well diggers, printers, etc. As a result, Ramazzini is considered the father of occupational medicine. A cup of hot, black coffee does actually work to help ease asthma symptoms. I have used this method to ease an asthma exacerbation when traveling and it worked great. Be sure to check with your doctor before giving you asthmatic kids coffee. Be careful of the scalding hot coffee--it will burn skin and mucus membranes (when swallowed)! By this point in history, doctors had come to the view that asthma was a distinct disease, with specific causes, symptoms which needed to be treated. 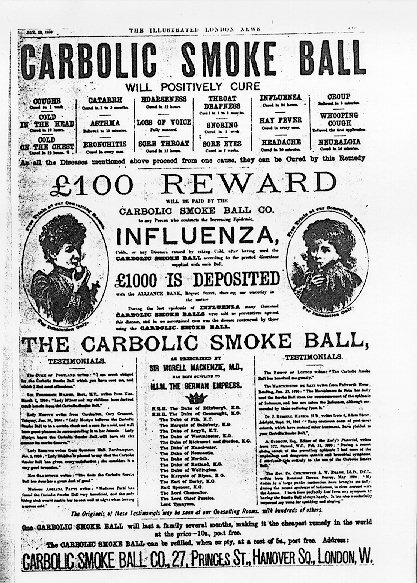 The Carbolic Smoke Ball claimed to cure influenza, sinus problems, asthma and more. The smoke ball consisted of a rubber ball attached to a tube. The ball was filled with carbolic acid and the tube was inserted into the patient’s nose. The ball needed to be squeezed to release the vapors, causing the patient’s nose to run. This process was supposed to flush out viral infections. In his “Principles and Practice of Medicine (the first edition in 1892)” Sir William Osler, considered the father of modern Western medicine, described asthma in specific terms. 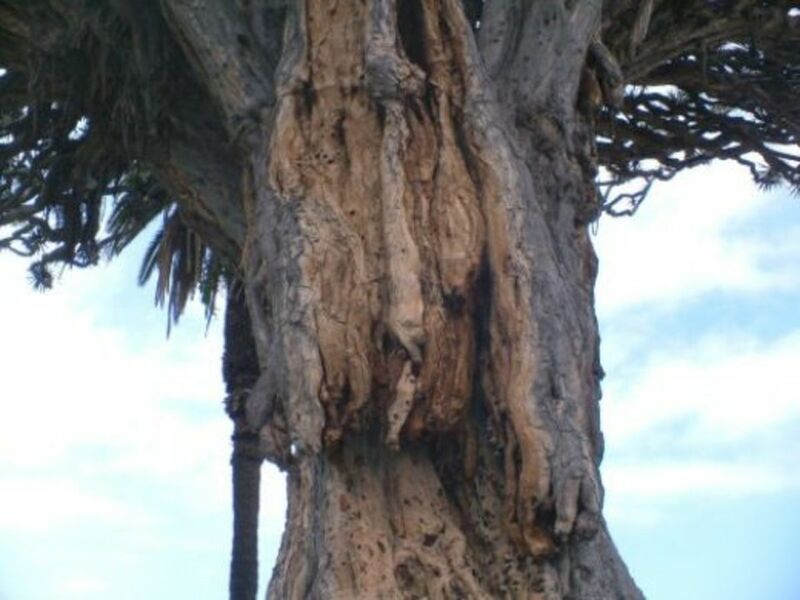 He described spasm of the bronchial muscles, swelling of the bronchia mucus membrane, that asthma and hay fever have similar origins and symptoms. He also noted that allergies and asthma seem to run in families. Osler also noted that asthma can begin in childhood and may last an entire lifetime. He also found that asthma affects men more than women. Osler noted that asthma needs to be treated promptly. Several of his remedies included chloroform, a hot stimulating drink (such as coffee) or a dose of chloroform in hot whiskey, morphia and/or morphia with cocaine, antispasmodics (belladonna, stramonium [datura] and lobelia in a solution or in cigarettes), asthma cigarettes, tobacco smoke, and oxygen. Frances M. Rackemann (1887-1973) is considered the greatest allergy and asthma expert of the 20th century. He graduated from Harvard in 1901, about the time epinephrine, ephedrine and cortisone began to be used to treat asthma. In 1914 and 1915 Rackemann worked with Warfield T. Longscope researching anaphylaxis. Over the centuries and on into the 1930s-1950s, asthma was considered as one of the ‘holy seven’ psychosomatic illnesses. The cause was considered psychological. Treatment was concentrated on psychoanalysis and other talking cures. Asthmatics were also viewed as depressed and so were also often treated for depression. Finally in the 1960s asthma researchers made the discovery that asthma’s process is based on inflammatory disease—a physical process--and is not only constriction of the airways. Researchers also learned that asthma sufferers have sensitive immune systems that react to airborne substances (allergens). While asthma does have psychological affects, it is a physical illness that must be treated with asthma medication. The psychological component of asthma comes from having a chronic illness--one that varies from day-to-day, sometimes moment-to-moment. An asthma attack can also be a scary experience due to the feeling of suffocation from lack of air. Alternative therapies, such as meditation, relaxation techniques, and breathing exercises are used to help asthma patients learn to control their breathing and to relax. If an asthma patient is depressed for six weeks or longer, then it's time to seek professional help from a physician and/or counselor/psychologist. From the 1800s to the mid-1980s asthma cigarettes were one of the most favored asthma treatments. Can you imagine smoking to help your asthma? Nowadays we’re told to stay away from any type of smoking and secondhand smoke. The cigarettes typically contained a mix of herbs and no tobacco. The herbs included crushed and dried Solanaceae (from the nightshade family), Atropa belladonna, Hyoscyamus niger, Lobelia inflate, Indian Hemp and Cannabis. These plants contain Atropine, an alkaloid that works as a bronchodilator, which makes breathing easier. Strammonium (Datura—a hallucinogenic) was another ingredient often used in asthma cigarettes. Asthma cigarettes stayed popular until the mid-1980s, even though new treatments were being developed. 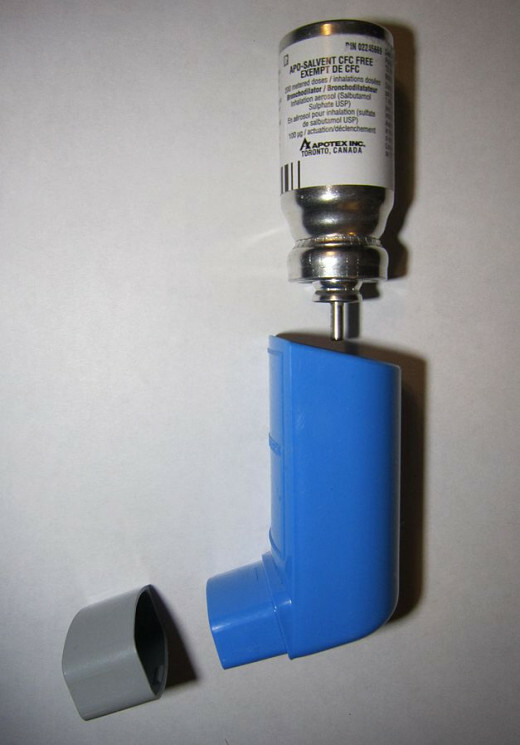 These worked for asthma patients, were easy to carry and inexpensive and were available without a prescription. However, 1957 saw the invention of our modern inhaler, and asthma cigarette sales began to drop off. The inhaler medication gave instant relief, was relatively inexpensive and was easily carried in purses and pockets. The end of asthma cigarettes came with the realization that teenagers began to use the cigarettes for their hallucinogenic effects. In studies, researchers were not able to provide conclusive evidence that asthma cigarettes worked. They determined that it was easier to overdose with asthma cigarettes than with inhalers. As a result of these findings, asthma cigarettes were discontinued in 1985 in the U.S.
From 1960 to the present asthma’s been treated with a combination of rescue short- and long-acting bronchodilators and corticosteroids. That’s worth another article by itself! 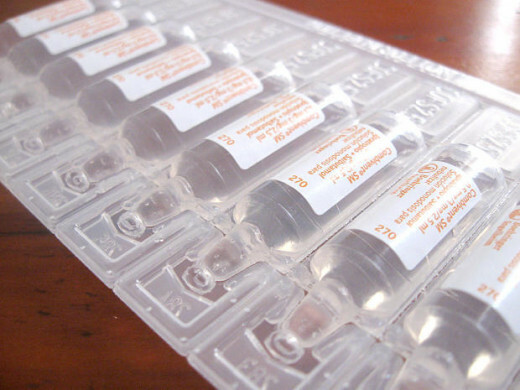 I, for one, am thankful to be living at a time when there are many asthma drug combinations and treatments that help to manage and control my asthma. Using an inhaler is a lot easier than standing over hot bricks and inhaling the fumes from roasting herbs! You can find more detailed information on asthma management in my ebook: Asthma's Nothing to Wheeze At! - Kindle edition by Sherry Vacik. You can find more information about asthma on BellaOnline's asthma site! Join the forum and sign up for our free free newsletter that goes out when new articles are available on the site. Do you have asthma? Share your tips and advice! @rebeccamealey: Thanks for your comment! Yes, hot black coffee (no sugar or cream) can help asthma. Another trick that's helped me is Cocoa Cola and dark chocolate--these have similar ingredients (caffeine and theobromine, which are both bronchodilators). I wouldn't advise using these all the time, but in a pinch they can be helpful. One more note--these remedies may not help everyone. How interesting. I have never heard of coffee for asthma. Your article is full of amazing facts. My dads sister died of asthma back in the 1940s. My children and I managed to escape having it. Yes, it's surprising we haven't made more progress in asthma treatment. 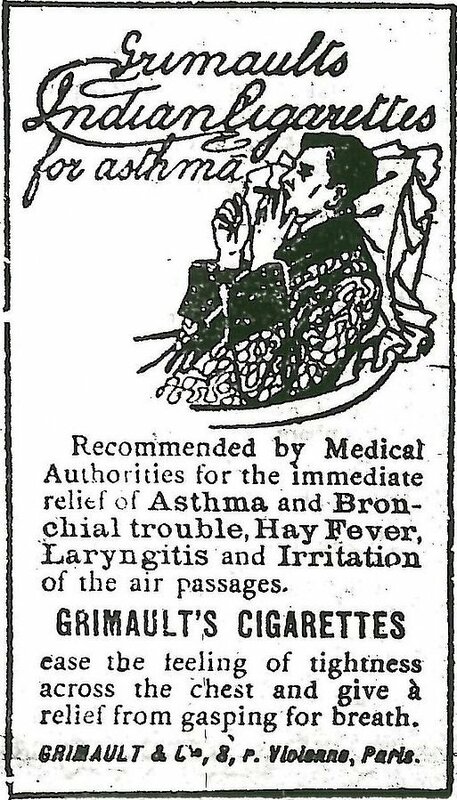 One of the most surprising bits of information I found during research was the past about asthma cigarettes! I've never heard of them and can't imagine smoking to treat asthma! Asthma cigarettes did seem to be an effective and efficient treatment for many in the past. I've never read anything about asthma like this one. It's quite fascinating that such a condition existed so long ago and still we have people suffering from it. You would think that modern technology will eliminate this one.